Sean W. Saunders is the owner of SWS Golf Academy and SWS Peformance in Springfield, MO. He has been a PGA pro since 2009 when golf fitness started really becoming the norm on the PGA Tour. Sean understood the importance of staying up to date on the latest information. He decided to specialize in golf performance and functional training because he was tired of seeing too many of his past clients not reach their potential. He knew it was not just their golf swing but their lack of skills and body compensations that were the source of their problems. He decided to take the next step and get ACE (American Council on Exercise) certified as well as TPI (Titleist Performance Institute) Level 3 Fitness Professional certification. 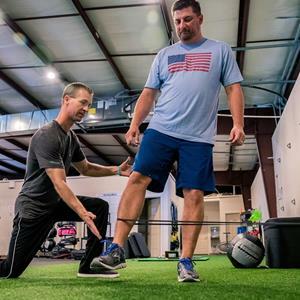 He currently is one of the only PGA professionals in the Country who has all of these advanced fitness certifications and he is the first golf performance coach to bring this new business model to SW Missouri. Contact Sean at swsgolf@pga.com / 417.597.2411 to schedule your evaluation and start improving your body, swing, and game!